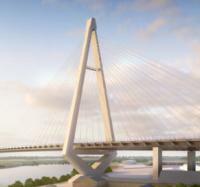 All steel girders for the superstructure of the New Champlain Bridge in Montréal, Canada, are now in place. 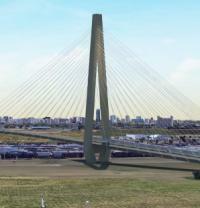 Engineers are now working around the clock to close the final 650mm gap in the main span of the cable-stayed bridge superstructure over the St Lawrence Seaway navigational channel. 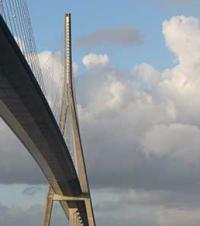 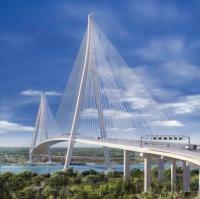 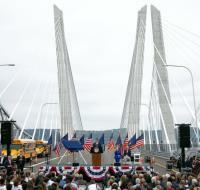 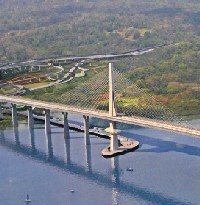 Panama’s government has given the formal authorisation for work to start on the US$1.5bn fourth bridge over the canal. 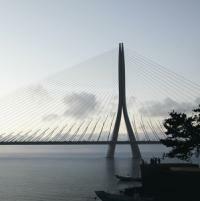 A contract has been awarded for upgrades to the structural health monitoring (SHM) systems on three major French bridges, including the Pont de Normandie. 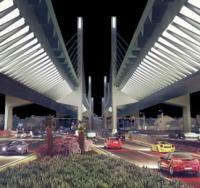 The eight-year long project that culminated in the world's longest sea link is outlined in under two minutes. 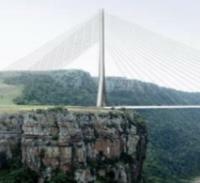 A contractor has now been appointed to build South Africa’s longest cable-stayed bridge, following a restart of the bidding process. 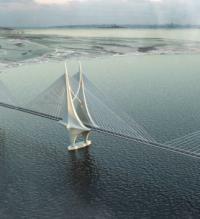 The chief minister of the Indian state of Maharashtra has given final clearance for the construction of the Bandra-Versova Sea Link and Vashi Creek Bridge projects. 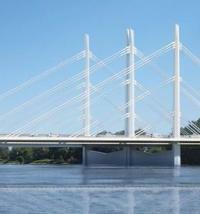 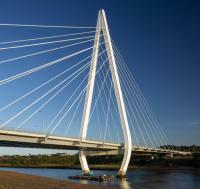 The Northern Spire cable-stayed bridge in north-eastern England opens to traffic today. 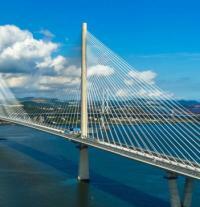 A new report by Audit Scotland has found that the Queensferry Crossing project was managed effectively and delivered value for money. 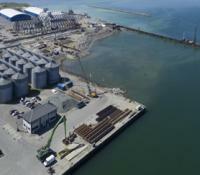 The consortium building Denmark’s Storstrom Bridge has entered into an agreement to expand a local harbour so that it can be used for the precasting of structural elements.